Dr. Mrudangi S. Thakur always appreciates feedback from her valued patients. To date, we’re thrilled to have collected 3 reviews with an average rating of 5 out of 5 stars. Please read what others are saying about Dr. Mrudangi Thakur below, and as always, we would love to collect your feedback. This team of people are the best! The care and time they take with you is amazing. The results of my surgery were amazing and the after care was tailored to me. They took their time and answered all my questions and listened to all my concerns. I would highly recommend this team of people. From the surgeon to the office manager and the secretaries they all took care of me and made me feel like their number one client. 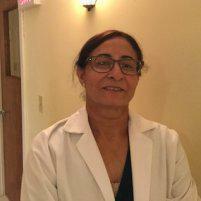 Dr. Thakur and her entire team are the best! Always helpful, professional and just genuinely nice people.